When people hear the term “corporate catering”, they often think of only certain types of events. What usually comes to mind is wedding catering, or a sweet 16, or bar mitzvah. The truth is, there is a multitude of events that could use the help of a professional caterer. Here are some special occasions that might call for some professional event catering. That special time of year definitely comes with its fair share of stressful planning. Although many families prefer a home cooked meal for the holidays, sometimes that can be a little tough depending on who is showing up to all the parties that you plan on throwing. There is no shame in admitting that you could use a little holiday magic to help you make your holidays merry! Our team of Long Island catering pros have been helping moms all throughout Nassau and Suffolk County have happy stress free holiday seasons for years. Have you ever been called into your boss’ office to hear the dreaded words: “I’d like you to be in charge of organizing our board meeting for next week”? That can be a stressful moment. Not to fear! When you need to create some business meeting snacks and appetizers, our team happily provides off premises catering for you and your hungry team of executives! Whether your meeting is in the morning, or in the middle of the afternoon, our team will be happy to feed yours to guarantee business gets discussed on a full stomach. Now, it’s no secret that sweet 16s are definitely worthy of event catering. But what about all those other milestone birthdays? If you want to throw your spouse, child, or any loved one a surprise they will remember forever, you may want to consider a catered birthday party! Imagine their surprise and joy they will feel when they come home to find all of their friends and relatives alongside a buffet of all their favorite recipes. Food, friends, and family is a wonderful way to celebrate anyone’s special day. By catering a birthday party just for them, you will show them that you care for them in a way no one ever has before. What baby or bridal shower would be complete without a delicious spread of food? Showers can be a fun time for all the girls. There are games, family, friends, and food. Regardless of what time of day a baby or bridal shower takes place, a delicious menu will be quite appreciated by the bride or mommy to be. If you hire one of the more creative catering companies, you can even customize edible party favors which would be an exciting and fun addition to the shower. 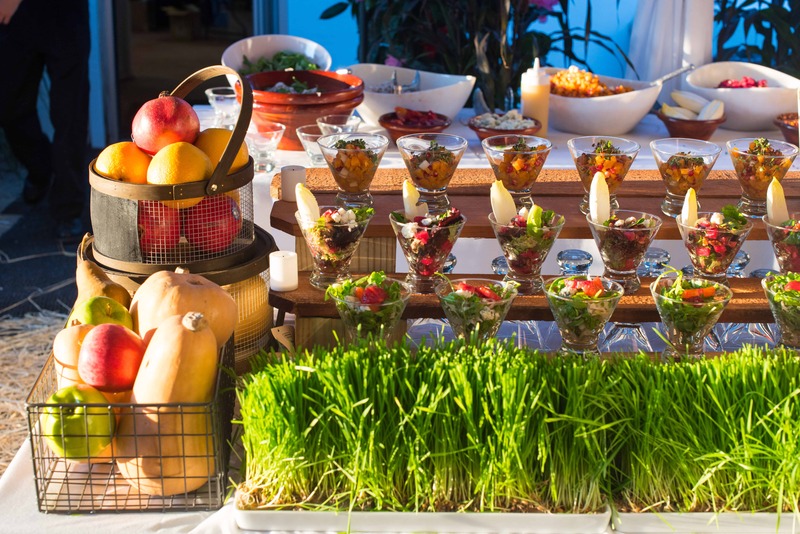 Hiring a caterer for a bridal or baby shower will also alleviate a lot of the pressure off of being the hostess. Enjoy the shower and hire a caterer! Celebrating a milestone marriage of your favorite couple should require some special food served up just for them. If your parents are celebrating their 50th wedding anniversary, you know that all your loved ones will show up to celebrate. You should consider hiring a caterer for an anniversary party, to make the party as special as the marriage itself. Long Island Catering companies aren’t just for weddings anymore! When you have something to celebrate, you will want to serve up a mouth watering menu. If you would like any more suggestions about how to professionally cater your next event, please don’t hesitate to contact Prime Catering today!